We were recently were given the opportunity to review a career attributes survey from CashCrunch Games. This career testing is suggested for students from middle school up through adult. CashCrunch Careers can be a useful tool in deciding what you want to do with your work time. The vendor site has a game or two to use to learn about money and some other purchase options but we spent the majority of our time on the careers part of the vendor sites. The theory behind CashCrunch Careers is that traditionally we approach careers backwards. Looking at what we have been trained for and finding an appropriate job is what they say is typically done, leading to wasted time and money. CashCrunch is suggesting that you take their survey to find your best fit careers based on inherent attributes. CashCrunch Careers is based on corporate recruiting tools and the US Department of Labor. That means there is a bias to the types of careers that come up and it was very obvious in our outcomes and reports. We found almost no artistic and creative based jobs on the site. We found musicians and singers but there was no information about them. And there were some marketing jobs and choreography mentioned. Other than that, we struggled to find active and artistic careers that would be of interest to the girls. The CashCrunch Careers survey is 75 questions long. It takes somewhere between 10 and 20 minutes to complete. The survey gives you sets of either/or questions and you are to decide which one of the two options fits you best. These terms have nuances that affect the outcome. For example, one of the choice sets is thoughtful OR deep-thinking. It is possible to hover over the term to get a definition if you aren’t sure about the word. These nuances were really difficult to work with because they sometimes put the girls at odds – both well described them so it was hard for them to pick one over the other. Miss L described it as feeling like “my brain is blowing up.” At the end of the survey, you are given a report. The report lists work styles that should fit you. It lists things that should motivate or de-motivate you. It lists what it determined to be your strongest career attributes. It ends with a listing of 20 career matches that it has decided fit you perfectly. After you have read through your report, you can click on any of the career matches and it will take you to a page for that main career. Each page has the projected growth of the career, possible needs to fill the openings projected, and a description of the career’s tasks and activities. There is also a section that shows you the attributes of people who typically fill these positions and checks them to show you fit them. You can click a different tab to be shown a list of colleges that offer education in this field; this is not an exhaustive list. (I do wish I understood how they chose these particular colleges. That part is unclear.) There is another tab that will show a short video about this career. Miss E, age 14, and Miss L, age 12, took the quiz and received reports. We saw some differences in the reports but felt they were overall very similar. Even their job listings were almost identical. Funny thing is, these two are extremely different. I cannot see either one of them doing the majority of the jobs listed. Management is not appealing. On top of that, these are end-point positions, not starting jobs where you can build up to it. Management is not where one starts fresh out of college and these reports and job descriptions did not direct the girls toward where you would start in this type of a career. Miss E said that her list showed a lot of administrative jobs where you sit behind a desk and tell others what to do. She doesn’t like that; she wants to “do.” Miss L said something similar, noting that the list did not have her ideal job. By searching through the careers not included in her list, she did find a couple that she thought might be interesting for her (PK teacher and child care worker). The girls enjoyed spending time looking through the website and seeing what careers they could locate that sounded somewhat interesting. But, as I mentioned earlier, since the girls are looking at wanting to do things like teach dance, play violin, be a sign language interpreter, or write, (all of which meet their strengths as shown in this report) there were difficulties with feeling like this report was accurate for them. After choosing one of the general career categories, a list of some specific careers comes up and you can read more about each one by clicking on its title. The videos on the site are approaching 20 years old, as indicated by Congressional acts mentioned and the technology shown. They are not very appealing to young teenagers and it is hard for them to feel like this is relevant to them. Additionally, the video quality is just poor for the technology we have available at this time. Some videos were used in multiple careers so it makes it feel like it is just filling space and not truly representative of the career. There is no place for this to take into account the personality of the person looking at career choices and that is huge in discussing career options. This would be a much better survey if it were to use not just the attributes survey here but also a personality survey and a preferences survey. Miss E noted while working through the questions that she felt they were not asking the right questions and reiterated this after she got her report with nothing but management or administrative careers. Miss E noted that a search function on the site would be very helpful. To be able to search for careers that sound interesting to them but are not on their list would be really helpful. Some of the positions were not where we expected them to be and so were difficult to find. Miss E also noted it would be helpful to know how the attributes and skills listed in their final report fit into different careers. Along those lines, it would be great to be able to search for how a skill fits into a job. For example, if you want to use ASL in a career, searching for the careers that include this skill would be great. While the list was different than we expected, there is much that we gained from this experience – lots of discussion about what the girls WANT to do, what interests them, what they think about different options and frankly, whether some of the careers mentioned are Christian occupations. Their experiences in searching the careers listed OUTSIDE of the list given was fun for them and they enjoyed reading about different options, talking about whether it was what they would have expected for that particular career. Looking hard for options that sounded interesting to them led them to open up files about some they would never have come across. So, while this wasn’t quite what was expected, we gained some great insight into options (or paths to avoid) for both of the girls who took the survey. Overall, this was a good experience. One additional note: This company also produces games that help teach financial responsibility. There is at least one that we found on the website that is free to use online. Others are available for purchase. If I understand it correctly, the company is about to roll out a new version of the game that should make it much easier to use. The game we played (as a team) was about how to make financial decisions and to spend and save money wisely. An interesting idea for a game. 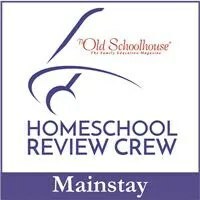 Please visit the Homeschool Review Crew to read about the experience other families had with CashCrunch Games and their CashCrunch Careers survey. Curriculum is such a personal choice – not just from parent to parent but child to child. Each child may need something completely different for the exact same subject and grade level. That can be challenging. But I have found that taking a look at things others have used and reading their honest comments about it can help get me some ideas to discuss with my girls and give them options. When it comes to curriculum, we have some non-negotiables. But there is plenty for them to have a say in and help make the decision of. So, as I go through this list, I’ll share with you the input that we had and the input the girls had. Maybe it will give you some encouragement to include your children more as they get older, giving them more say in what they are interested in. This is a non-negotiable time. We sing a hymn and work on Bible memory work. We do some folk music and poetry. And we have at least one read aloud going on. For now, that is plenty. Our hymn comes from Hymns of Faith, which is an Ideals book. We also have several hymnals that we keep in our stack for use. The Bible memory work is from the KidSing cards. They are important things from the Bible and memorizing where to find different things. For example, Acts 2 covers the birth of the church and Hebrews 11 is about faith. Acts 20:7 gives us the example of Sunday worship and preaching and I Timothy 3 discusses the qualifications of elders and deacons. We are using Diana Waring‘s history through music to do folk music for now. We are currently using the one about Laura Ingalls Wilder’s musical experiences. Our poetry work is coming from Poetry Memorization from IEW. Our current read-aloud is A Tree for Peter by Kate Seredy. These are all things At Home Dad and I chose for us to do as a family. Math – No Nonsense Algebra – algebra I program that is both book and video based. At Home Dad did the majority of the evaluation of this program but with the video aspect, Miss E was okay with it. We knew that she wanted video based learning but that wasn’t so advanced that she couldn’t understand it. So far, so good. Science – Friendly Chemistry – She loved this program and asked if there was a follow-up to it. When I did my research, we found that we had completed about 1/3 of the actual program. So, I contacted the company to find out what we needed to continue on and it arrived yesterday. She is very pleased to tackle this course and she chose it. Obviously we had the final say but it was easy – begging to do a chemistry program? We’ll take it. History – timeline – We decided that everyone would tackle American History this year. For Miss E, we found timeline books that give dates and events from about 1100 to the present time. She is using these to research each event and write a summary of the important information from each one. She has a notecard binder (a cute little thing!) that she is keeping her notecards in. So, this gives her both history, research, and writing experiences. Language Arts – She is finishing the Characters In Crisis book from last year. Then she will take on Learning Language Arts Through Literature – American books (Gold Book). She attempted Grammar Planet but that kind of fell through for a number of reasons (review next week). She is also completing a daily writing assignment from the Daily Writing and This Day In History prompts on SchoolhouseTeachers.com. She has loved the writing and is keeping it all in a single notebook. Again, she has to research for a lot of the history prompts so she is hitting several areas that she needs skills in. She wanted to do some daily writing this year and when we came across these prompts, she feel in love with them. Do note – we had tried these before and they were a complete fail. So this is something she grew into – don’t give up if your child doesn’t like the writing early on. Maybe it will come. She loves it so much that she writes every day, even Saturday and Sunday, most days completing more than one prompt. American Sign Language – She adores sign class with Mrs. Pat and is looking forward to it again. She chooses sign but Mrs. Pat chooses the curriculum course. Logic – Miss E is not terribly excited about the Logic course from Memoria Press that she is continuing but it will be beneficial to her in the long run so we are enforcing this one. Speech – When told she needed to work on a speech class, she wasn’t excited. Until I showed her the class from SchoolhouseTeachers.com. She is really liking the speech class offered there and I know it will benefit her when her debate class begins meeting in the spring. Latin – Miss E is working on PictaDicta, a website based program for learning Latin vocabulary. So far, she isn’t loving it but this is a call I made that she would do and continue. I believe she will be tackling Latin once more before too much longer through Memoria Press’ First Form Latin so we are starting back to it with this program. Review to come. PE – Miss E is taking 5 – 6 hours of dance a week so this is a solid PE credit for her and she loves it! Ballet, tap, and jazz are what she is taking but she enjoys tap most. Code for Teens – I thought she had a pretty full course load until she asked if she was going to get to continue this book. Well, when I said something about not scheduling it, she was very disappointed. So guess what? We changed course and added it back in. Extras – She also wants to take voice lessons, so we are looking into that right now. We’ll see. Another option that she is really considering is volunteering at the library during her sister’s violin class. What happens when you schedule the courses that the student is interested in? Yes you may get some pretty long looking lists but guess what? When they are interested and their input is given weight, they feel valued and things just work better. Our original list looked quite different for the first year of high school. But, by taking her input into consideration and having conversations with her about her needs and requirements, we came up with a program for her freshman year of high school that makes tons of sense and is of interest to our daughter. Definitely, I encourage you to have conversations with your students about their course of study. Take their ideas under advisement and pay attention. They may be telling you a whole lot more about themselves than just what book looks interesting. There are more than 40 homeschool moms writing encouragement posts today on this Take A Look Tuesday – from school rooms to curriculum to a bundle of ideas, go take a look! I encourage you to visit the anchor post for the Crew and also some of the ladies’ blogs to gather more encouragment to yourself. You can do that by the linky on the Crew blog or by visiting some of the blogs below. Code For Teens is the brainchild of Jeremy Moritz. Mr. Moritz and his wife (the illustrator) have extensive home education knowledge, as they educate their own six children. Mr. Moritz has been a software engineer and developer for over a decade. Thus, this book comes straight from his knowledge and background. And, with his experience of working with children (he also coaches chess and has directed lots of musicals), he knows exactly what will catch the student’s attention. Written in a conversational and humorous style, the information is clear and easy to follow. It is written directly to the student so that she is teaching herself. Each chapter has plenty of explanation and exercises to help gain experience and understanding. The student is encouraged to type the exercises right along with the book, being given the exact information to input and the exact expected outputs. Sometimes, the book encourages wrong inputs so that the student can experience how to problem solve the situation. (That’s fantastic since they won’t always have a step-by-step guide telling them where the problems are in the code.) By the time the end of the chapter is reached, the student will have worked with the code quite a bit through exercises and drills, helping cement the concept. There is a quiz, an overview of the key concepts for the chapter, drills, an aggregate review, and a DIY project at the end of each chapter. If for some reason, you reach the end of the chapter and still don’t quite understand it, you can go back and do it again. The concepts and skills build on each other throughout the book so it is important to understand one chapter before moving on to the next. But with the variety of exercises, and being encouraged to change bits of the code to see what happens, the student should be able to get it figured out. There is no expected pace, so take the time you need to learn it right. I like this book. It is a nice weight and high quality printing. The glossy pages are not going to tear easily and the print is easy to read on them. The humorous style makes it a pleasant read and easy to follow. The instructions are extremely clear and well written. A lay-flat binding would be a fantastic addition to the next printing of this book, though it worked well with the book stand that Miss E has. I have a friend who is a graduate student working on a doctorate degree in mathematics. She has quite a bit of programming experience. One day while over at the house, she saw this book and picked it up. She was immediately interested and spent some time reading through the book. She commented quite a bit about how well written this was, how easy to follow, and how much clearer it was than many programming books she has worked with. She was very impressed with this book and hopes that this company will continue to come out with more programming books because there are a couple of language she wants to learn. It was really good so far. I like that they had the exact things you are supposed to type highlighted and colored and the responses highlighted and colored differently. At the very beginning, it gave instructions for more than just using Chrome and it is nice to know that those instructions are there for others who might need them. It is very funny and I like the way it is written. It feels less like a lesson and more like someone is actually talking to me. Some texts are just “blah-blah-blah” and this is written more like a conversation. This makes it easier to understand and also to feel less boring and classroom-ish. 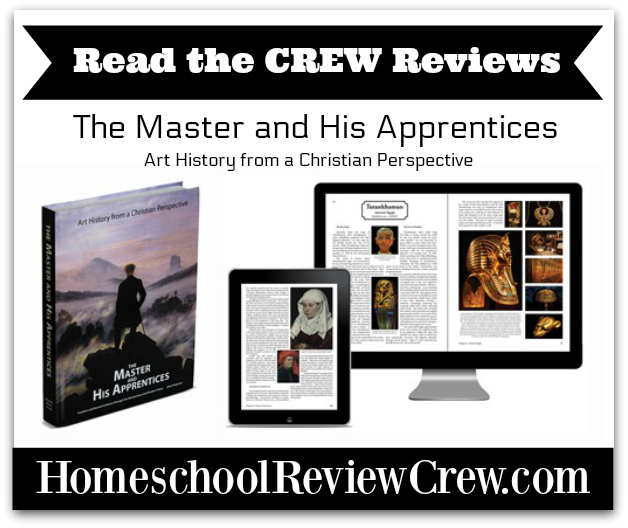 Be sure to visit the Homeschool Review Crew to read what other families thought about Code for Teens and find out how they used this program.